Date 27.06.2016 Need To Know Facts For Electricians Seeking Employment In Australia British, Irish and other international citizens are in high demand for sponsored employment in Australia in the Electricians Trade industry. If you have been pondering a move to Australia now is a great time to make the move a reality. If you’re reading this post, it’s likely you’re either an electrician or your partner is. At the Down Under Centre we specialise in helping Electricians migration to Australia. 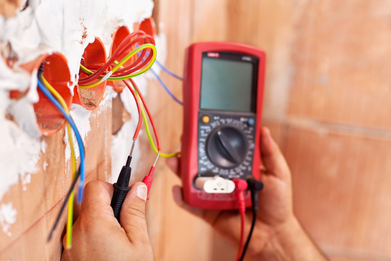 At the moment there is currently high demand for skilled Electricians in Sydney who have experience in their trade and are willing to migrate to Australia to develop their career. Melbourne, Perth and states such as Queensland are also seeking skilled trade workers to fill jobs. In this article we’re going to cover the a few tips that will help you in the process of migrating to Australia for work. Electrician Jobs in Australia: The Facts Electricians are on the Skilled Occupation List (SOL) To find out if you qualify to apply for a skilled visa for Australia, speaking to a migration agent is a good place to start. You can get in contact with registered migration agents from the Down Under Centre. We deal with people every day who are migrating to Australia, and that work in the trade industries. Do you need to speak to a migration agent or pay to find this out?There are a number of migration agents who will charge you for a visa assessment, but at the same time, there are registered migration agents (MARA approved) who will give you a free assessment. By providing the migration agent with some basic information such as work history and information on your education and trade skills, they should be able to give you an idea of the best way to proceed with securing a visa to Australia. What is IELTS and do people from the UK or Ireland really have to take an English Speaking Language test? IELTS (The International English Language Testing System) is a course that is used for the purpose of testing a person’s proficiency in the English language for the purpose of migration. To answer the question, do people from the UK or Ireland have to take the IELTS test, in simple terms, yes, it is a good idea to take the test as it will help you gain points that are extremely valuable when it comes to qualifying for the visas. If you hold a British or Irish passport it’s not absolutely necessary but it would help when applying for a skilled visa. At the Down Under Centre in London, we are an official IELTS test centre. If you would like to find out more about booking at IELTS test, speak to one of our staff or you can visit their website, which has some great information that will help you better understand why it’s a good idea to take the test. Another tip we would like to share is that you should book in your IELTS test a few months in advance, as there can be up to two months wait list, and if you don’t pass the first time around, you may need to book in again, meaning you could be looking at four months before passing. It’s also good to know that when submitting your application, the Australian government will not know if you failed, so if you don’t pass your IELTS test first time round, we do encourage you to keep trying. TRA Migration Skills Assessment explained TRA stands for Trade Recognition Australia and in simple terms, it is a government assessing body that ensure people from the trade industries who wish to work in Australia, have the relevant skill sets to do so. If you’ve worked as an electrician for 10 years, it doesn’t mean you’ll be guaranteed work in Australia. To ensure a high and equal level of skills for electricians wishing to work in Australia, you’ll be required to complete a trade skills assessment as an electrician part of your visa application. Even if you’re travelling to Australia on a working holiday visa, it will still be worthwhile completing a skills assessment, as you’ll be much more employable by companies in Australia. It will also save the hassle on being asked to take one when you arrive in Australia, as you’ll be able to hit the ground running and secure a job on arrival, or even before you land. If you would like to ask any questions about Skills Assessments for Australia, you could attend one of our online webinars, come into our office or simply call our team on 0203 376 1555. Finding jobs for Electricians in AustraliaFirst of all, you need to be aware Australia is a pretty big country, so when searching for a job, a good place to start is by refining your search to a particular city. This means you need to have a think about which Australian city you actually want to live in. To start the process, it’s worthwhile speaking to some recruiters prior to arriving in Australia. Our team at the Down Under Centre often have information on clients in Australia seeking electricians or you may want to speak a recruitment agent such as Hays Recruitment, who often have clients seeking Electricians in Australia. Alternatively, there are a number of job boards such as Seek, Indeed or bbmlive.com/jobs where recruiters and employers will post live jobs and jobs that are often in high demand. We’re all very aware the internet is now the go to resource for sourcing jobs online in Australia, but where do you start? What do you search for find the perfect job electrician job in Australia? Below are a few handy search terms that will help you pull up a good range of jobs from search engines such as Google. Contact The Down Under Centre about skill assessments for ElectriciansFor more information on securing work in Australia as an electrician, or any other trade, feel free to speak to our team at the Down Under Centre. We help people like you and their families migrate to Australia every day. Email us at info@downundercentre.com We’re available Monday to Friday 9-5pm. Still got questions? Why not attend our next open day on the 28th July or our upcoming online webinar on the 5th July 2016, 7:30PM (UK Time). Register now!